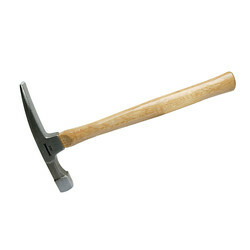 Wooden handle brick chipping hammer. Black head with polished face. 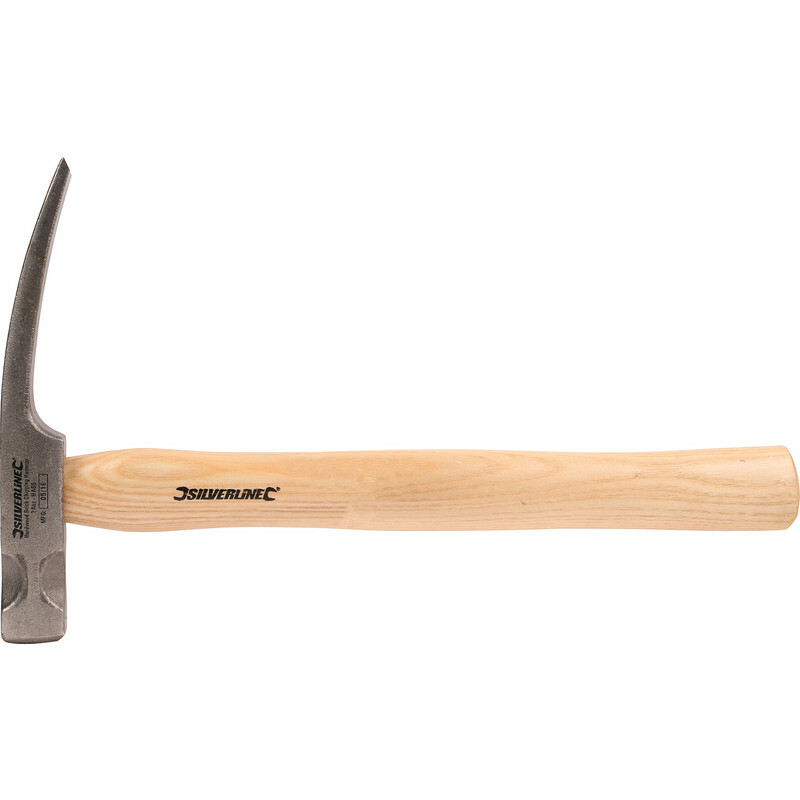 Brick Hammer 24oz is rated 2.1 out of 5 by 7. Rated 1 out of 5 by Limpenhoe from Cheap, but I'm not cheerful After one day of relatively light work the shaft snapped at the head. Reported to Toolstation and they immediately refunded the cost, which I put towards a more expensive brick hammer. Lesson learnt I guess. Rated 1 out of 5 by DIY Joe from Poor Quality The hammer lasted only 5 blows before the handle separated from the head. The handle didn't break but the poor shape of the section inserted into the head and the use of what seems like filler, caused the head to come off. Rated 5 out of 5 by Avi1 from Great hammer Needed one for my DIY job and finally bought one. The price I paid was on promotion and that's the bonus of it. Look very strong and good quality. Will recommend to others. Rated 1 out of 5 by dirk55 from poor quality I thought I would take a chance on this brick hammer not good. As previous reviewer it only lasted half an hour before it snapped.